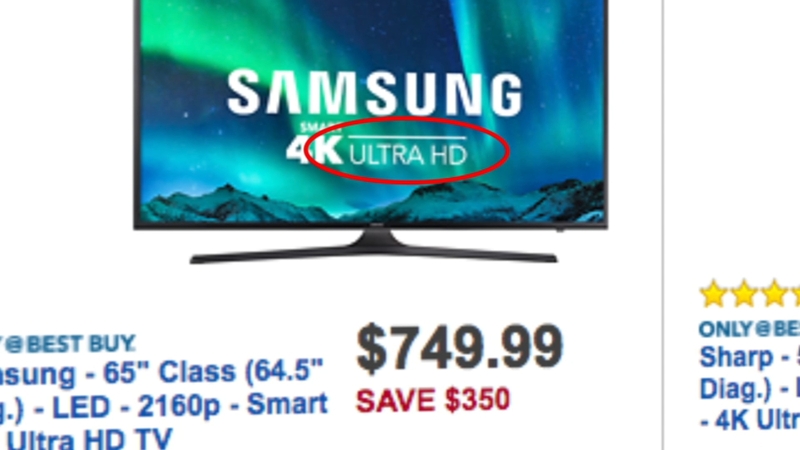 Shopping for a new TV this holiday? You'll likely find an alphabet soup of models and features, from UHD to OLED to HDR.. what does it all mean? Just in time for Black Friday and Cyber Monday sales, Consumer Reports explains those confusing TV terms. If you haven't been shopping for a TV in a while, in can be confusing, with a lot of new high tech terms to learn. You'll see a lot more 4K TVs - those are TVs with higher resolution screens... 4K, UHD and ultra high definition all refer to the same thing, TVs that have four times as many pixels as regular HDTVs which can mean a sharper, more detailed picture. use a media player like Roku or Apple TV. HDR is becoming more common, but what the heck is it? HDR or high dynamic range technology can boost a TV's brightness, colors and contrast so that the images you see are closer to like what you see in real life. Something that comes along with the better HDR performers is a wide color gamut. It's sort of like giving your TV a bigger box of crayons to play with. So you get different ranges of colors and you get smoother transitions when you move from like a deeper red into an orange. If you're in the market for a higher-end TV, you'll see the term OLED which stands for organic light-emitting diodes. An OLED TV's black levels are truly black, so colors look more vibrant and images seem to really pop off the screen. OLEDs are still pricey but Consumer Reports expects prices to fall as more companies start making them.